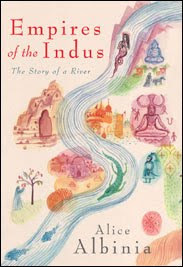 Very interesting account of her journey from the mouth of Indus on Arabian Sea till the origin of the river ine western Tibet, near the Mount Kailash. More impressive is her historical coverage of the areas she traverssed, her courage to travel in those remote and 'out-of-bound' areas. One thing stands out, humans are all same everywhere, help came forth to her from all those seemingly deadly places. Many things mentioned by her struck me as dejavu; remarkably, two: the gutter cleaners of Karachi and the rock-carving in Kargil depicting a pregnant male giant, presumably, King Yuvanashwa; father of great King Mandhata. A must read book; I am full of appreciation for this girl, Alice, who was just perhaps 26 and having written this book with so many references covering wide variety of subjects.